The deadline for submissions to the 2018 IFTA Film and Drama Awards is Friday 17th November. This marks the 15th anniversary of the annual awards ceremony, which recognises and rewards excellence in the Irish Film and Television sector. The period for eligibility is 1st January 2017 to the 31st January 2018. Full details about the categories, rules, guidelines and submission details are available here. The IFTA Film and Drama Awards take place on Thursday 15th February 2018 and will be broadcast on RTÉ One. The positioning of the Awards during the international Awards season in February is influenced by the Academy’s new phase of development for the industry. This also includes the re-positioning of the IFTA Gala Television Awards into April on the annual Calendar of events. The move will also see IFTA working very closely with BAFTA across their respective Awards ceremonies which will take place on the same week. 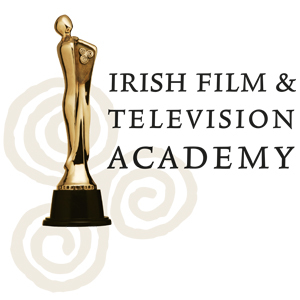 The Irish Film and Television Academy (IFTA) is the all-Ireland organisation whose mission is to provide a platform for inspiration, creative development and collaboration across the entire industry. As part of this remit, the Academy also organises 50 industry events each year within its industry Learning Programme which have recently included some of the world’s most respected filmmakers, such as Martin Scorsese, Michael Moore and Liam Neeson. The upcoming 15th Anniversary Year will see an expanded line-up of exciting high-profile talent and events throughout the year of 2018.